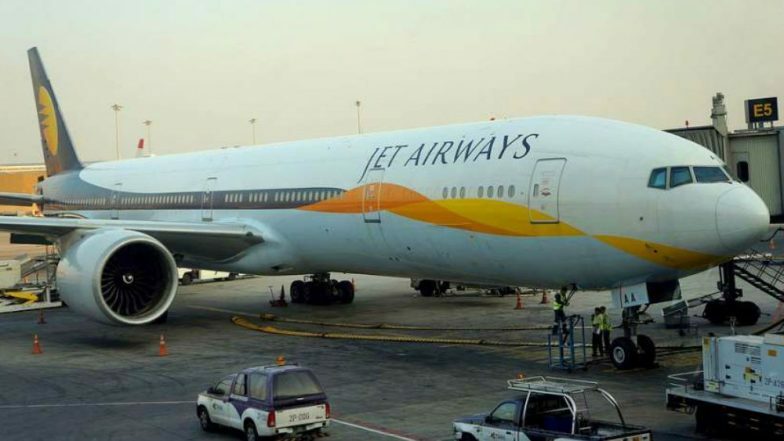 New Delhi, April 17: Crisis-hit Jet Airways is likely to be grounded, at least for now, as the carrier's desperate bid to inject Rs 400 crore of emergency funds has been turned down by all state-run and private lenders. The last flight to be operated by the cash-crunched airlines will be from Amritsar to Mumbai. 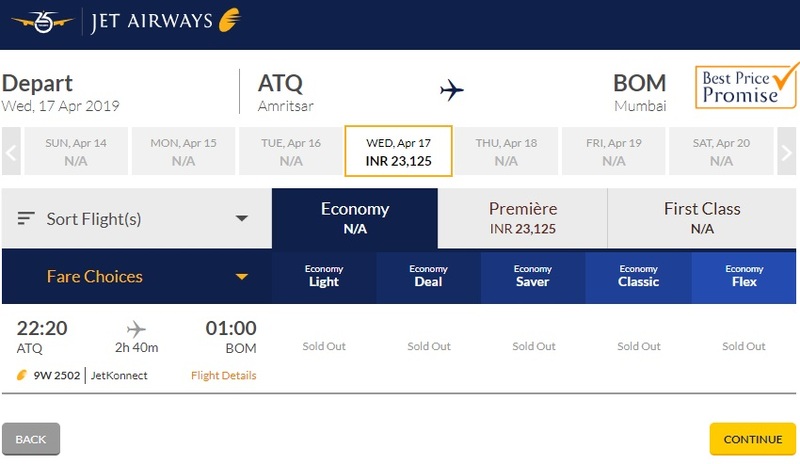 Jet Airways Suspends All Flights For Tonight, Fails to Get Rs 400 Crore Emergency Loan. The final flight, 9W-2502, will taken off from Sri Guru Ram Dass Jee International Airport in Amritsar at 10:20 pm, and will reach Mumbai's Chhatrapati Shivaji International Airport at 01:00 am post midnight. Booking for the last Jet flight is still open, with tickets in premier class available at a price of Rs 23,125. The crisis-hit airlines had reached out to the government earlier in this week, seeking the sanctioning of emergency funds, apart from a loan of Rs 1,500 crore to keep the carrier afloat. Vijay Mallya Expresses Sympathy With Naresh Goyal, Alleges Discrimination By Govt. The fate of nearly 16,500 Jet employees hangs in balance, many of whom have not been paid salaries for the past few months. The National Aviators Guild -- the largest union of Jet workforce -- had earlier threatened to launch a strike from April 15. However, after being informed by the management that it would disburse the pending salaries after receiving the "promised" loan of Rs 1,500 crore from SBI, the union decided to defer their protest. Notably, the Jet has cancelled all international flights both to east and the west-end. The airlines' fleet has been brought down to 5 -- down from 191 in its heydays.